Of the more than 17 Million new cars sold in the United States in 2017, nearly 200,000 of them were electric vehicles, according to market reports. While that may seem like a drop in the bucket, it’s actually a huge increase from previous years, especially since EV’s have only been commercially available since the groundbreaking release of the Toyota Prius in Japan in 1997. Why Even Consider An Electric Vehicle? While you might think electric vehicles are more expensive than standard automobiles, they can actually save you money in the long run. In fact, in 2017 the cost of buying a new EV car dropped over 10 percent from the previous year, and that downward trend promises to continue. Additionally, EV cars are far more reliable, requiring fewer costly repairs and maintenance that often plague standard vehicles. 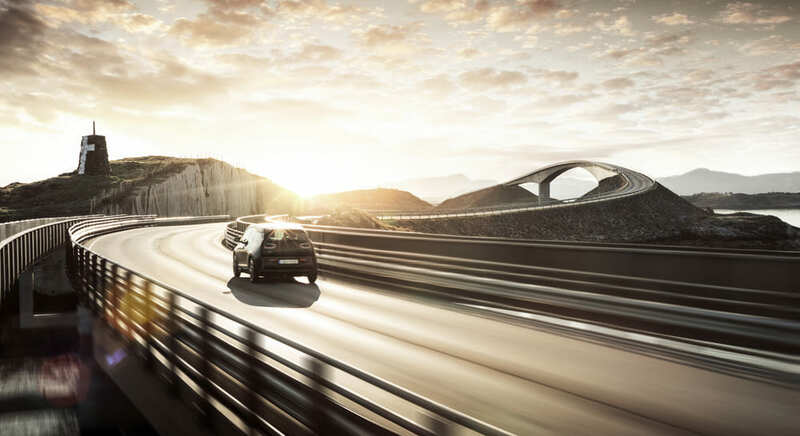 What can be easier than plugging in your car when you’re home for the night, letting it charge while you sleep, and driving off in the morning with a fully fueled vehicle that can get you where you need to go all day long? It really is that easy, and with electric car charging stations popping up all over, maybe even at your office, you can drive wherever you want without having to worry about gassing up. The incredible reliability of electric vehicles also means you’ll spend less time at the auto shop, dropping off your car for oil changes and inconvenient repairs. Nearly 9 billion barrels of petroleum are used in the U.S. each year, with the bulk of that going to transportation. 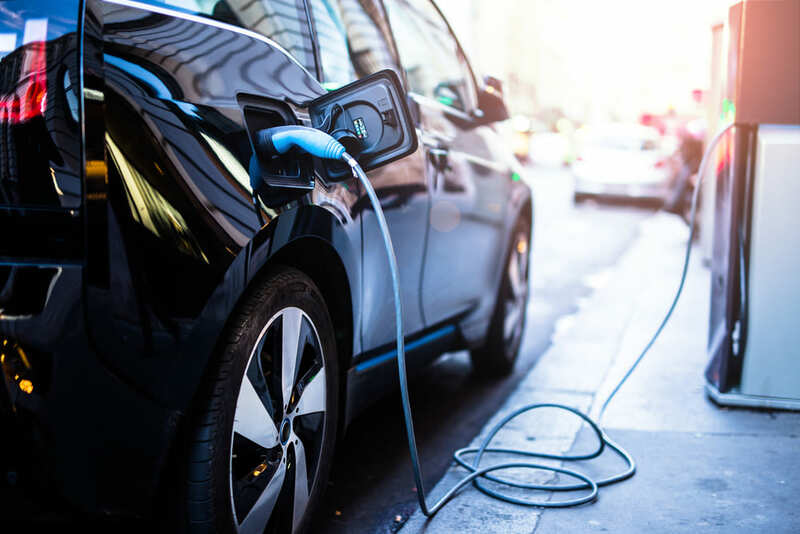 The more drivers who choose EV cars, the more that number will decrease, as will toxic emissions that contribute to climate change, smog, water pollution, and other environmental concerns. Choosing an electric vehicle is one of the best ways the average Joe can go green and help the environment. Maybe you’re already convinced of the benefits of going electric. You understand the convenience factor, as well as the economic and environmental benefits for making the switch from a standard vehicle, and you’re ready to take the plunge. You like how it drives, with its quick reaction time and excellent torque. It feels good, and looks even better when you pull up to the office or trendy new restaurant driving the latest in technology. There’s just one thing holding you back. Questions about how charging your potential new ride are plaguing you, keeping you from taking the plunge. It’s just so familiar, pulling up to one of a dozen or more gas stations in your neighborhood when the tank is low and filling it up. How does charging your EV differ from fueling up a traditional vehicle? Doesn’t it take a long time? Where do I charge it on a road trip? What does it really cost? These questions and more have answers that might be simpler than you think. There are three types of electric car charging options. It’s important to understand the differences before committing to an electric vehicle. Level 1 Charging is the technical term that refers to charging your EV through a plain old three-prong electrical outlet. The charging cord that comes with any electric car will connect to your standard wall outlet on one end, to your cars charging port on the other, providing 120 volts of electricity right in your own garage or driveway. A visit from your electrician might be in order, as it’s important to be sure your circuit is properly grounded and able to supply the juice your car needs without blowing a fuse. Level 1 is the slowest form of EV charging, often taking all night to fully charge. This is generally not a problem if you are using your EV for driving around town, since an overnight charge can take you 40 miles. For longer distance driving, you might need to rely on one of the other two charging options. Having a Level 2 Charger installed in your home will cost about $2,000. Consider that investment as a part of the cost of your car, but rest assured that it will save you money over the long haul.You might even find a tax rebate incentive to help offset the cost of making the switch to EV and installing this type of charging station. Adding to the convenience factor of owning an EV, public Level 2 Charging Stations are popping up all over the country. While they may not yet be as common as gas stations, they can be easily found when you’re out and about by using a site like chargehub.com. Additionally, many businesses are installing charging stations on site to serve their EV driving employees, and take advantage of incentives. The cost of both Level 1 and Level 2 Charging in your home depends on electricity costs in your area as well as the efficiency of your particular vehicle. Start with your EV’s kilowatt per 100 mile (kWh/100m) energy consumption rate which can be found on fueleconomy.gov. Then determine your home electricity rate, multiply it by the kWh/100m number to determine your car’s fuel cost per 100 miles. Sometimes referred to incorrectly as “Level 3” charging, Direct Current Fast Charging is completely different from your other two options. It provides direct current electricity to your electric car, and is much more powerful than anything that can be done in your home. DC Fast Charging stations require dedicated high-power electrical lines, so it is only available at public charging stations. DC Fast Charging lives up to its name, providing up to 40 miles of range for every 10 minutes of charging. You can plug it in while enjoying lunch, and drive for a couple hundred miles before needing another charge. 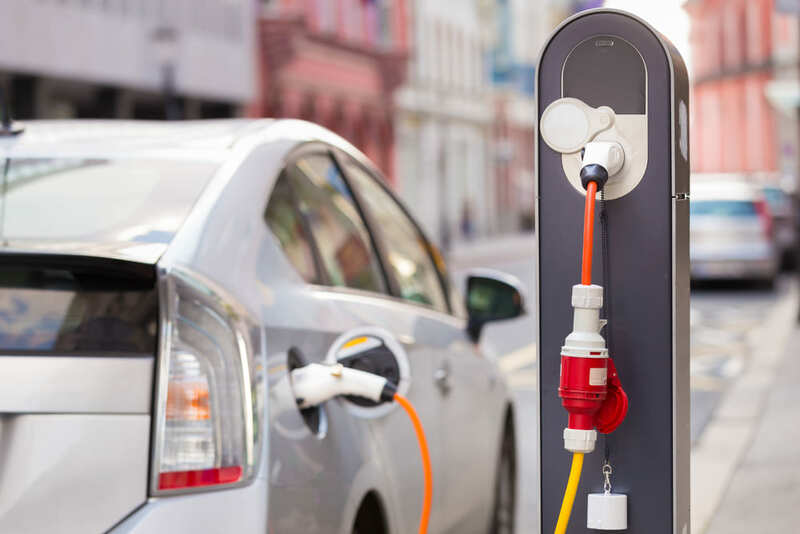 Not all electric vehicles are compatible with DC Fast Charging, so be sure to do your research before relying on this high-powered charging option. The leader in the EV industry is arguably Tesla, who have gone so far as to create their own network of free, high-powered DC Fast Charging stations that can only be used by Tesla owners. No matter which way you choose to charge your electric vehicle when you’re out and about, finding a charging station is easier than ever. Many of these stations are free, while others charge a nominal fee that you can rest assured will cost you less than gassing up a standard car. A host of networks like Blink and EVGO are becoming increasingly available nationwide. Each one works a bit differently, so choose the one that’s most convenient for you, learning how it all works before relying on it for your car’s on-the-go electricity boost. 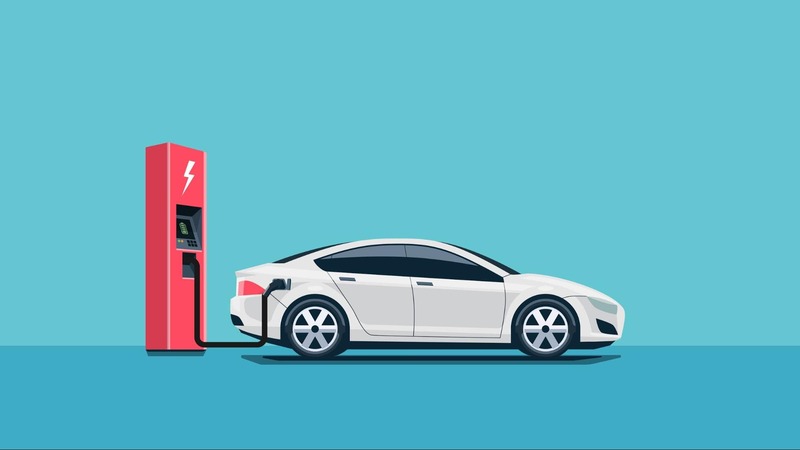 As the electric car industry continues to boom, more and more charging stations and networks will become readily available, even in the smallest of towns! It’s important to use good charging etiquette when charging your electric car. Since public charging stations are limited, you’ll want to consider the needs of other drivers and not take up space at a charging station for longer than you have to. Just as you would never leave your car at a filling station for longer than it takes to fill your engine, maintain the same consideration at the electric charging station. Keep an eye on your vehicle while it is charging. When it is close to fully charged, unplug it and vacate the space so another driver can use it. Hybrid cars should defer to pure electric cars and give them priority at the charger, since they have a petrol engine to rely on if necessary. Electric cars are finally here to stay. They make sense economically, environmentally, and practically. They may require a bit of research, but once you master the learning curve and think you’re ready to make the switch, don’t let the charging options scare you away. Whether you plug it right into the outlet in your garage, install a faster home charging station, rely upon public charging ports, or a combination of all of these, charging your electric vehicle is easier than you think, and will keep you driving for miles and years to come.